5 Secrets to Clean Boxing Gloves: Fight back the smell! During training, the fighting gear absorbs sweat and moisture that is the perfect home for bacteria. If the training gear remains wet and unclean, the bacteria and germs will grow producing bad (really bad) smell. 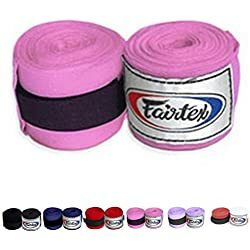 With the proper maintenance, the boxing gloves and the rest of your equipment, will last longer and won’t have bad smells. In this article we will give you 6 effective methods to clean boxing gloves. Before explaining how to clean boxing gloves, we will give you a few tips to prevent as much as possible the growth of bacteria and germs. 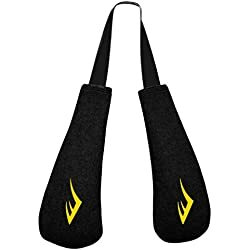 As we mentioned on previous posts like Best Boxing Gloves and Best Muay Thai Shin Guards, some of the fighting gear count with antimicrobial technology that inhibits bacteria growth to minimize odor. Below you can find a couple of helpful tips that will help you to fight against the bad smell. Store your boxing gloves in open and ventilated spaces where the air can flow inside them. Wipe the sweat after every use. A towel or napkins are perfect to do this. Don’t keep them directly in your training bag. Training bags are often full of bacteria, so is better to have a plastic bag just for the gloves. 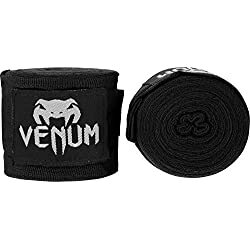 Hand wraps are not just good to protect your hands and wrists during your training. They will also absorb most of your sweat and moisture inside the gloves. Also, cleaning the hand wraps is easier than the boxing gloves, but don’t forget to clean the handwraps regularly! 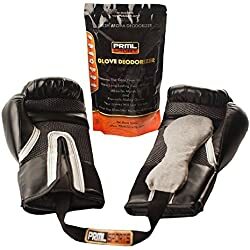 The previous tips are meant to prevent bacteria growth and bad smell, but, what if your boxing gloves are already stinky or you forgot to use the mentioned tips? Wow wow wow! Hold on! Are you serious?! That was my first reaction when I first discover this method. It may sound crazy, but is very effective. Leaving the boxing gloves in the freezer during the night will kill all the bacteria and germs. Is highly recommended to place the gloves inside a hermetic plastic bag. Before freezing your gloves, make sure that the quality of them is good enough to not suffer any damage. This method is not recommended for cheap and unbranded gloves. You can use an Anti-bacterial spray to clean boxing gloves and kill all the germs inside. 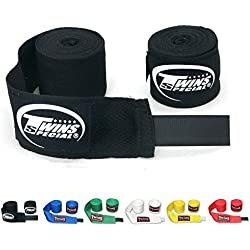 It is very simple as you only need to use the spray inside of the boxing gloves and leave them in an open area for few hours. 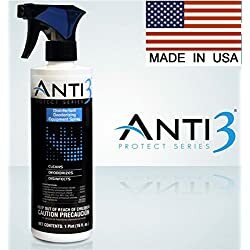 Using an anti-bacterial spray to clean boxing gloves, despite being very effective, shouldn’t be used regularly as the chemical components of the spray may damage the gloves in the long run. 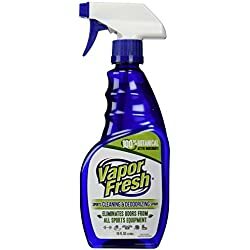 Below you can find some recommended anti-bacterial sprays that work perfectly to clean boxing gloves. Apple cider vinegar has dozens of health benefits, one of them is that it kills odor-causing bacteria. 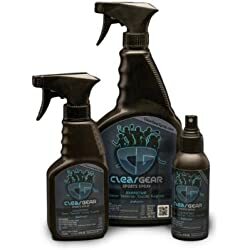 It can be used easily to kill germs inside the fight gear by pouring some apple cider vinegar in a piece of cloth or in you hand and then rubbing it to clean boxing gloves. Once they are clean, leave the gloves in an open area until they are dry. If the bad smell in the gloves persists, you can repeat the process a couple of times until it disappears. Put saline water inside a bucket big enough for the gloves. Leave the gloves in the bucket for 3-8 hours. All the fighting gear will get sweaty and will accumulate germs after every training session. Having the proper hygiene will make the gear to last longer and is easier to use a fresh gloves than a stinky ones. If you follow the tips and clean your boxing gloves regularly, then you won’t need to worry about bad smells anymore. 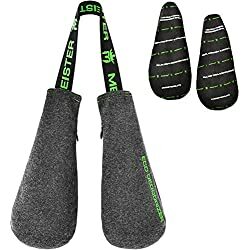 Do you have any other tip or method to clean boxing gloves? Which method do you recommend? We want to read your comments! © 2019 - Wise Fighting. All Rights Reserved.